by BK Plastic Surgery Hospital. presented at The Korean Society of Plastic and Reconstructive Surgeons. 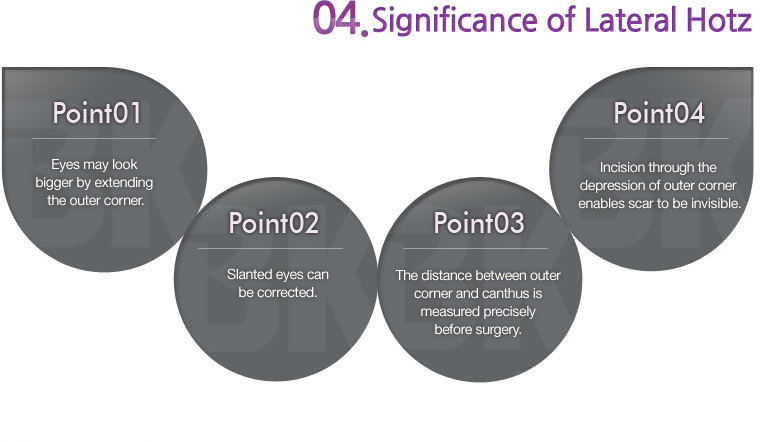 can be achieved by having outer corner extension along with lateral hotz. Yes. In case of sunken eyes, there is not enough space to make outer corner extension. the results of outer corner extension in such cases. Recovery period varies on individual basis.